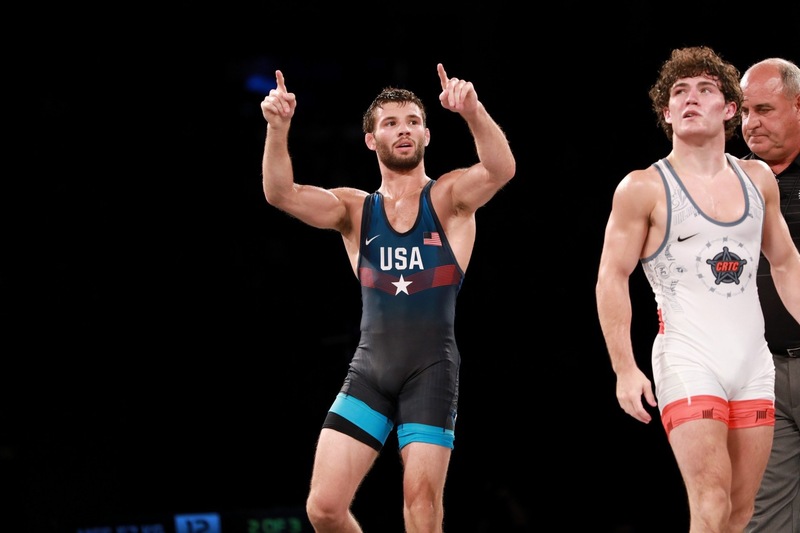 LINCOLN, Nebraska — Thomas Gilman and Alli Ragan swept their best-of-three series at Final X series in Lincoln, Nebraska, to earn spots on the United States world team at the 2018 UWW World Championships in Budapest, Hungary on Oct. 20-28. Gilman defeated Daton Fix, 6-3, 2-1, to sweep the 57 kg series. The 2017 world silver medalist is representing Team USA on the world stage for the second straight year. Ragan, also a 2017 world silver medalist, returns to the world stage following a 4-0, 5-0 sweep of Jenna Burkert at 59 kg. The Final X series is a collaboration between USA Wrestling and Flo Wrestling. The Lincoln Final X event is the first of three Final X competitions. Four U.S. men’s freestyle roster spots and three women’s freestyle roster spots were determined in Lincoln. For complete results visit USAWreslting.org. The other two Final X competitions are in State College, Pennsylvania, on June 16 and at Lehigh on June 23.